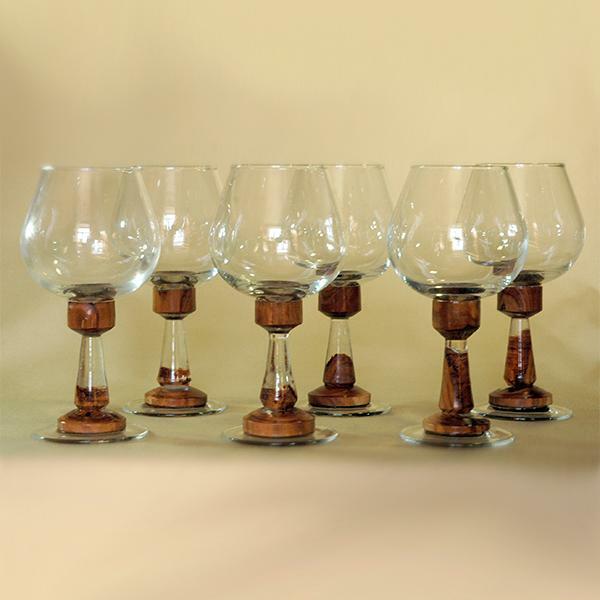 A gift set of six wineglasses accentuated with an exquisite combination of natural wood, resin and glass. A great gift both for him and for her. Also suitable as a classic wedding or anniversary gift.